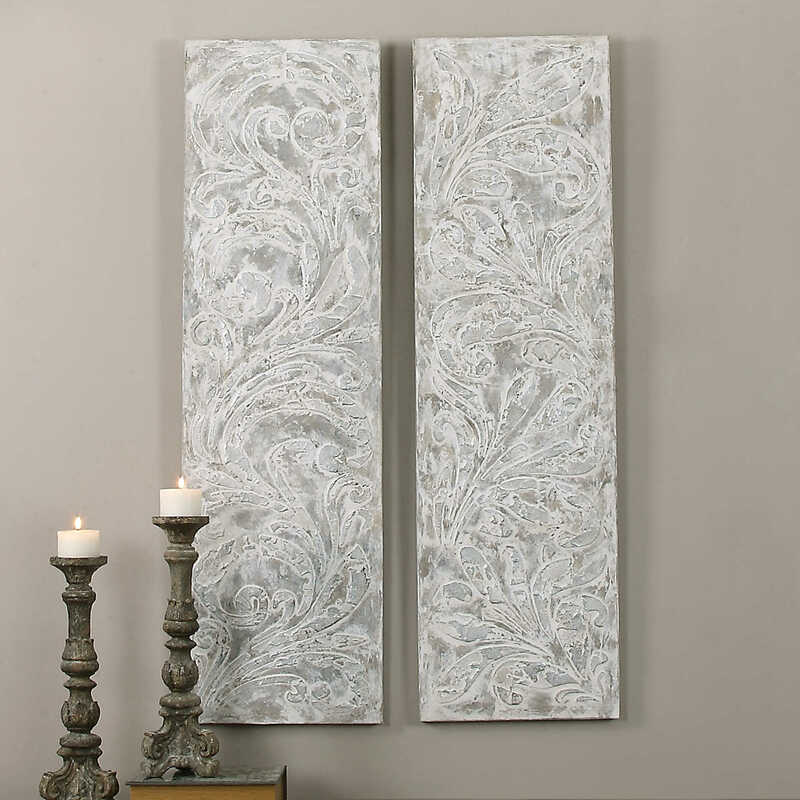 Add French country style to a design with these hand painted canvases. 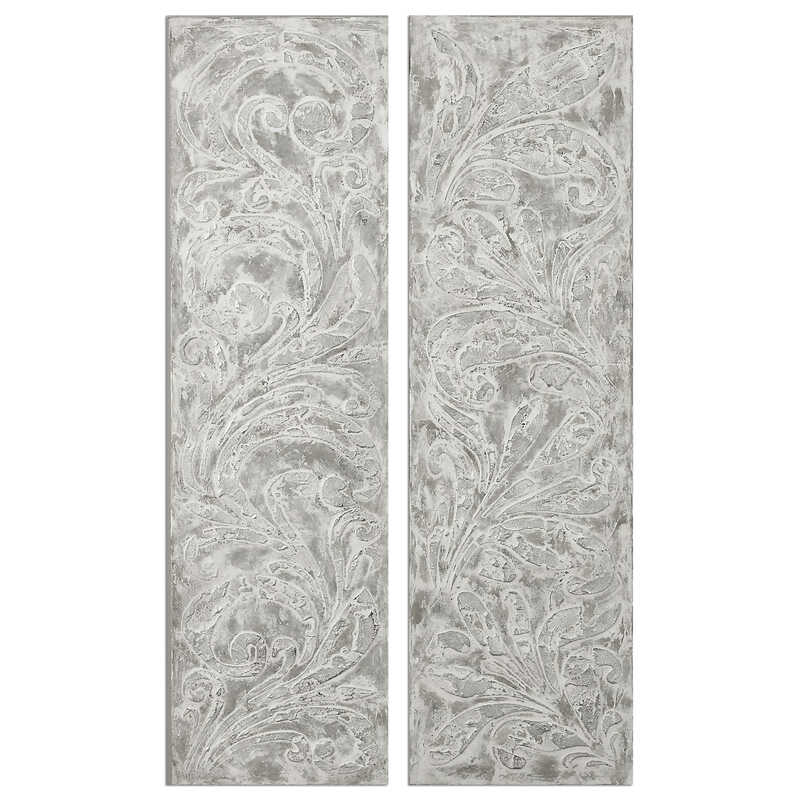 Beige, gray, and cream shades are heavily textured and form an elegant fleur-de-lis design. Each canvas is stretched and attached to a wooden frame. Due to the handcrafted nature of this artwork, each piece may have subtle differences. These pieces may be hung horizontal or vertical.